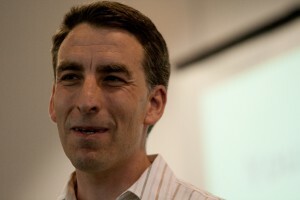 Glenn Kelman is the CEO of Redfin, and a keynote speaker at Real Estate Connect this July. Recently, he did a Q&A with Inman about what’s changing in the economy and the key real estate trends. From the new competitive advantage of giving customers what they want, to the last-second economy, Kelman weighed in on a variety of themes that are redefining the real estate customer experience. Kelman said what most agents already know, that the most disruptive force changing the economy and consumer behavior is the mobile Internet, but there’s a deeper cultural shift in the relationship between companies and their customers happening here, too. Now that customers can so easily use social media sites like Yelp or Facebook to talk about a brand — for better or worse — businesses have started focusing on maximizing overall profits, by increasing the number of customers who love and swear by their service. The Internet has made it a lot harder to deceive customers (and why would you want to do that anyway?). In other words, awesome service is the only reliable form of marketing. Kelman also thinks the last-second economy, in which consumers expect immediate service at the touch of a button on their mobile devices will gain a lot of momentum and pick up speed in the not-too-distant future. “We think the trends described above will accelerate, but the most transformational is the last one: what Greylock’s James Slavet calls the emergence of “end-to-end companies” or Andreessen Horowitz’s Chris Dixon calls “full-stack startups.” What could a school, a hospital, a research lab (or a real estate broker) be like if it was reinvented by someone with the technical talent and access to capital of Silicon Valley, but a commitment to making a difference in the real world?” Kelman said. Just take a minute to imagine the possibilities. The first step, he says, is simply talking about how to make the consumer experience better. At many real estate conferences, the overwhelming emphasis is on how to meet more customers. But the only sure way to do that is to focus first on what agents rarely talk about: a fundamentally better customer experience. Forget about that quick sale. Real estate is a people pleasing industry. And like other people pleasing industries, it’s all about the customer’s experience and how well he or she is accommodated. “To deliver on that, we as brokers will have to influence the service our agents deliver, and be able to see what’s working for our customers and what isn’t. If a brokerage wants to stand apart for a superior customer experience, it has to be able to reward agents who deliver on that experience, and fire agents who don’t,” Kelman said.